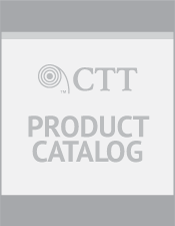 CTT Ampli-Max Extended Reach Tool | Coil Tubing Technology, Inc. The CTT Ampli-Max Extended Reach Tool is set up as a dual stage tool. The top end of the tool incorporates a dual acting valve mechanism that relieves a spring loaded triggering mechanism accelerating a piston to an internal stop creating a high energy internal frequency impact in a timed sequence with dual acting (up and down) impulses controlled by pressure and fluid (or gas) volumes. The energy generated in the top tool section is thus converted to lateral oscillation. 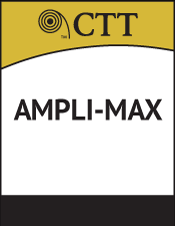 The bottom end of the CTT Ampli-Max consists of an internal rotational motor with an eccentric counter weighted component that generates high rpm and radial frequency based on pressure and GPM. The CTT Ampli-Max is a unique tool that generates both lateral and radial oscillation and movement that assists in the efficiency of extended reach drilling.